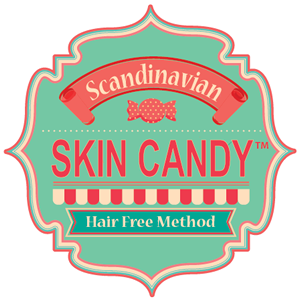 Scandinavian Skin Candy’s patented pastes offer an epilation hair removal method that offers many advantages over waxing, you don’t need to grow the hair to the length of 5-7mm unlike with waxing techniques. Experienced therapists can remove even the shortest hair with Skin candy Xylitol enhanced pastes. Waxing products adhere to living skin cells, making the procedure painful and skin irritated. This doesn’t happen with Skin Candy, since the paste is water soluble – it slides off from living skin cells, scrubbing the dead cells from the skin surface and making the skin easier to treat after the treatment. 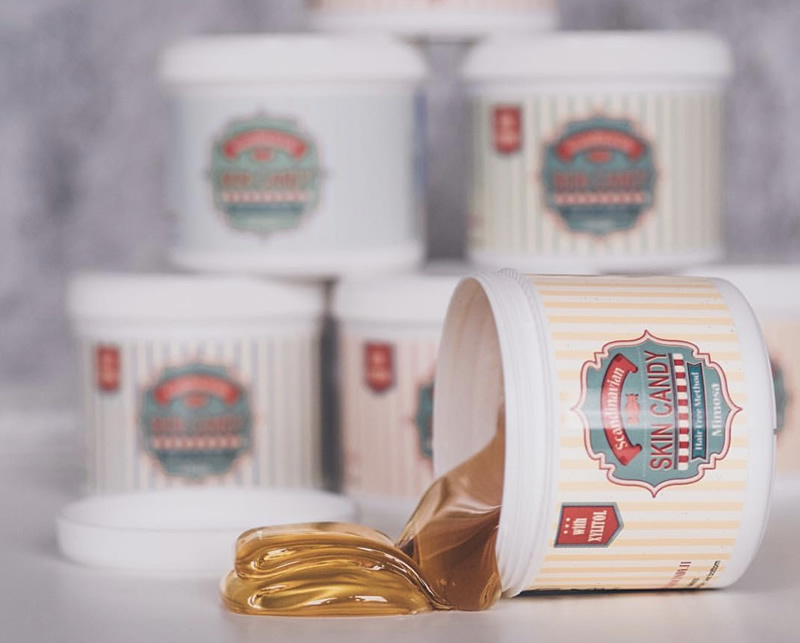 The products used for waxing legs and full bodies are made from petroleum-based resins and chemicals making them prone to contamination or cross contamination. Scandinavian Skin Candy paste is all pure natural. It’s even edible and delicious. All of the pastes are 100% safe and extremely skin friendly. All in all we can assure you, that once you go Skin Candy there is no way back to waxing. Our Candy loves coarse hair!